Got a case of the Mondays? Check out these local events. Figure out what this is by attending the talk at the SFMOMA tonight. MAKE MY MONDAY: Meet local artists and enjoy cocktails, tacos and music at the Make My Monday event at Fort Mason Center in San Francisco. Doors open at 6:30 p.m. and close at 9:30 p.m. Entrance is free. 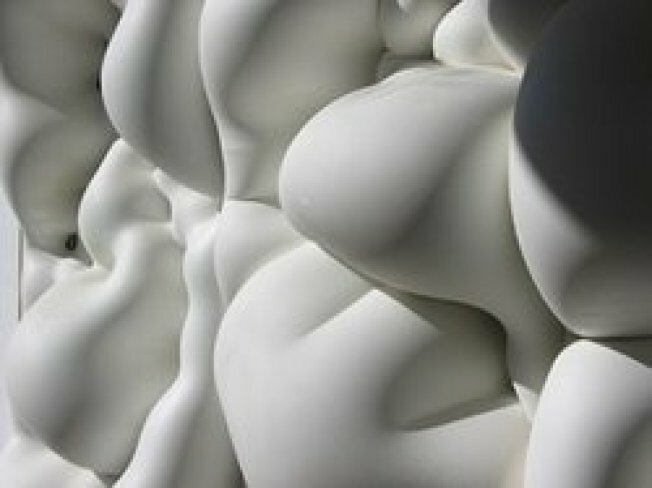 ART TALK: Listen to the SFMOMA's assistant curator of art and design discuss Andrew Kudless' "P_Wall." The talk starts at 6:30 p.m. and is free with admission to the museum, which costs $15. STITCH 'N PITCH: Finally, an event that brings together sports fans and those who enjoy making things with yarn! Bust out your knitting needles and embroidery thread for the fourth annual Stitch 'n Pitch at AT&T Park. Knit Junior a sweater while you watch the Giants play the Pirates at 7:15 p.m. The $18 gets you the game and a Lou Seal bobblehead.